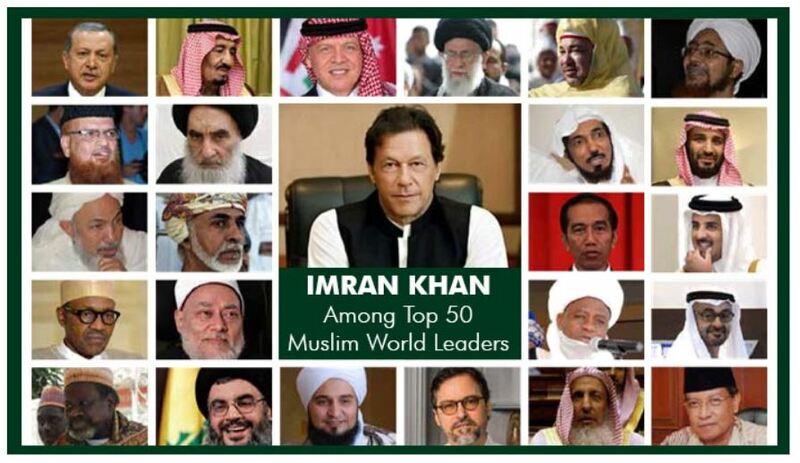 Published in the 10th Anniversary Edition of the World’s 500 Most Influential Muslims 2019, the Prime Minister of Pakistan Mr. Imran Khan ranks 15th in the list of the Muslim Rulers and Politicians and 29th in the list of overall Muslim Leaders for the year 2019. The list, ‘World’s 500 Most Influential Muslims’ is prepared annually by the Jordan-based Royal Islamic Strategic Studies Centre. Since 2009, Jordan-based Royal Islamic Studies Centre has been preparing the list every year, and its 10th edition for the year 2019 was published this month. Besides Prime Minister Imran Khan, three other religious personalities that have been included in the Muslim Leaders’ list are; Haji Muhammad Abdul-Wahhab, the emir of Tablighi Jamaat, Justice (retd) Sheikh Muhammad Taqi Usmani and renowned religious scholar Maulana Tariq Jameel. Maulana Taqi Usmani is placed on 6th, Haji Abdul-Wahab on 14th and Maulana Tariq Jameel secured 40th spot. Wondering how these persons are selected? What is the Criterion? Then, follow the link to get the complete List of Top 50 Most Influential Muslim Leaders 2019 and all the details you need to know.